Oba of Lagos, Rilwan Akiolu, says Jimi Agbaje who contested and lost the Lagos governorship seat in the last governorship election will never be governor of Lagos state. 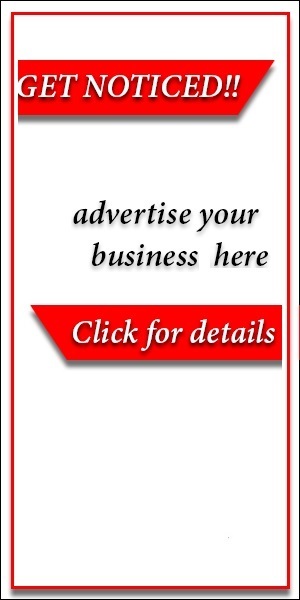 Oba Akiolu who first stated this in April while making his controversial speech to Igbo leaders, said he still maintains his position that Mr Agbaje will not be governor of the state. Oba Akiolu said this while speaking at the public policy lecture organized by the Institute of Directors, IoD and launch of the book "The Example: The Era of Babatunde Raji Fashola as Governor of Lagos State,’ in Lagos yesterday May 6th. 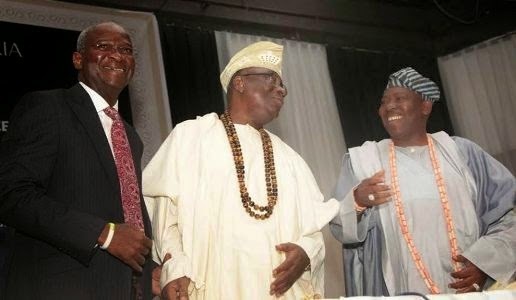 Photo above: Lagos State Governor Babatunde Fashola, SAN (left), Oba of Lagos, Oba Rilwan Akiolu (middle) and the Ojora of Ijora Kingdom, Oba Fatai Aromire (right) during the Institute of Directors Nigeria Public Policy Lecture at the Shell Hall, Muson Centre, Onikan, Lagos Island, on Wednesday, May 6, 2015.